Aquarium or Pond Green Water Control; UV Sterilizer . This is a basic post that more entails the use of pictures that were provided to me courtesy Paul Phillips to demonstrate via photos the progress of tank water clarification with the use of an AAP Custom 15 Watt UV Sterilizer/Clarifier (no longer built). Before I proceed, I should note that this is not limited to the use of the custom 15 Watt UV, as any well made UV can perform green water control, however level 1 UV Sterilization (what I recommend) and level 2 UV Sterilization often requires better equipment, installation and flow rates. Sadly much of the UV equipment now being sold can at best perform green water control, not the more effective level one sterilization. 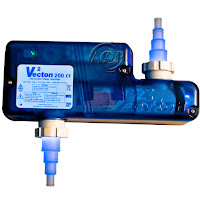 Besides the before mentioned UV Sterilizer, consider the premium TMC Vecton/Pond Advantage line of UV Sterilizers as these not only are durable, but bluntly the best non commercial Pond Green Water Control UV Clarifiers at any price. What is noteworthy is even if green water clarification is all you are looking for, a true UV Sterilizer will clear and maintain green water much more quickly. 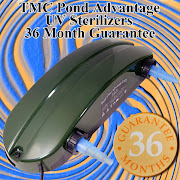 It is also noteworthy that most UV Clarifiers are of much lower quality build and only use medium pressure UV lamps which have only a 7% UVC output; so when one compares the price and effectiveness over just three years, the savings for one of these cheapie Amazon or eBay UV Clarifiers quickly fades away compared to a true quality True UV Sterilizer such as the Vecton or Advantage!! 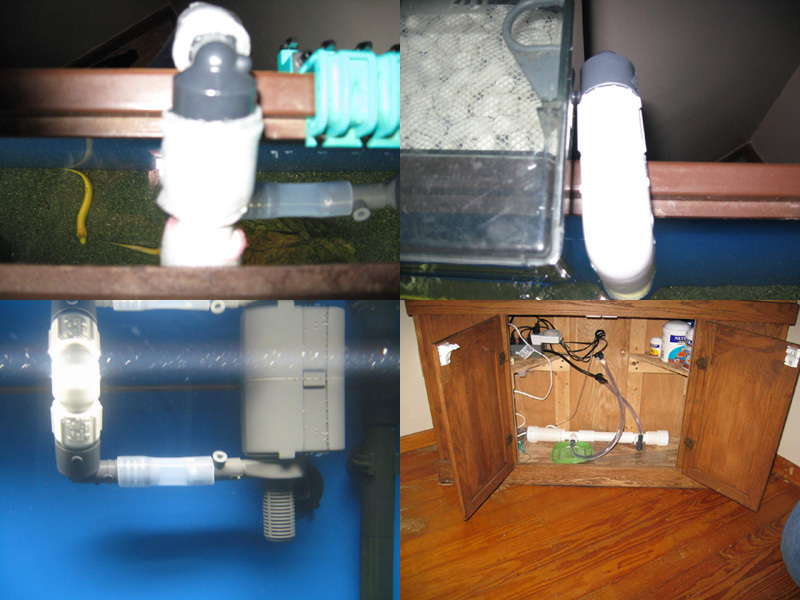 The first picture demonstrates his aquarium system showing the intake adapter, return adapter, the power head/pump, and the TMC UV Sterilizer under the aquarium. I would also suggest the use of a Pre filter such as the API Filter Max #3 (or a Sponge Filter such as the API Hydro Sponge #3) for improved UV Sterilization as this lowers debris/turbidity in the water column which in turn improves the effectiveness of the UV Sterilizer. Other than the lack of a form of pre-filtration, this is an excellent set up.